Looking for beginning sounds practice? Well look no further! 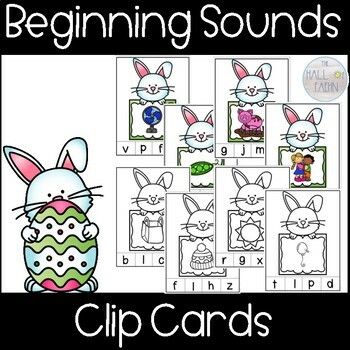 This Easter beginning sounds clip card center will help students reinforce their knowledge of beginning sounds. Each card has a picture and four letter choices. 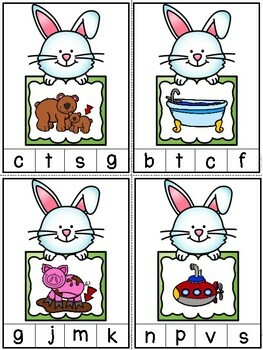 Students will isolate the beginning sound of each picture and clip the correct letter. 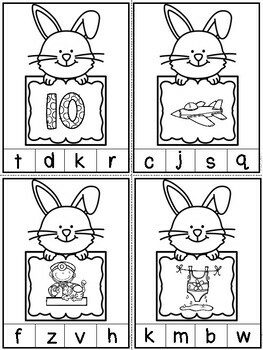 This activity is available in color and black & white! 40 cards for each set.